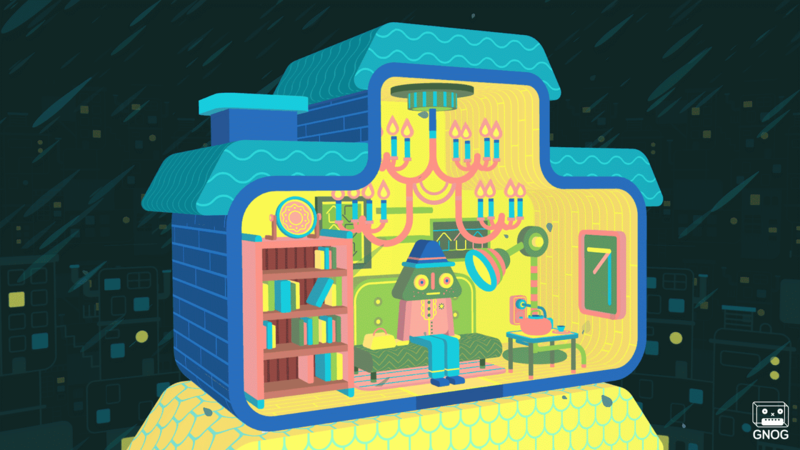 GNOG, a game I've been wanting to fully play through since...how long has it been...how many IndieCades have I gone to and played it? (Crying) Finally! 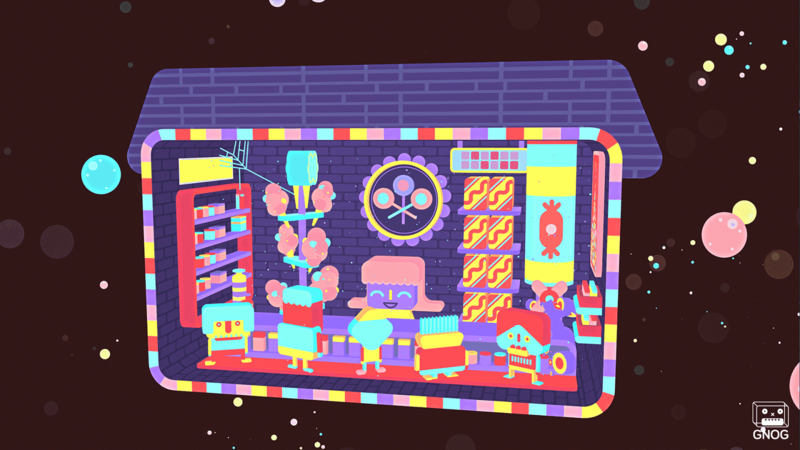 I got to play you GNOG and then easily beat you after pretty much playing the entire game over the years. 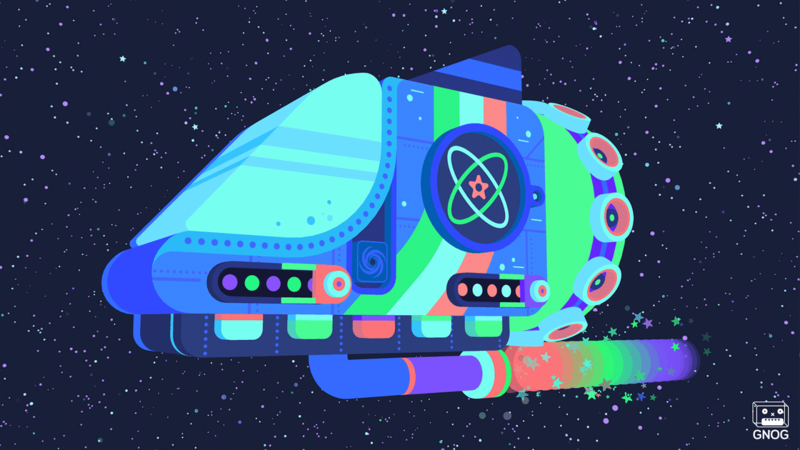 GNOG is puzzling head game that will have you twisting and turning all sorts of dials, pressing buttons and having a bird throw-up the most beautiful of colors. That's just the beginning in this colorful game with strokes of musical pings and then full on beats in certain levels. 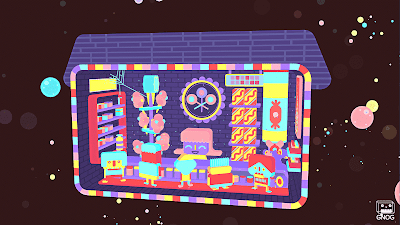 It's a puzzle game of sorts having you shift through the inner workings of strange colorful heads. You start off with a nice intro of cascading heads. Then you hear, how do I put it, a friendly scream, a scream of a giant from a storybook that's your friend, a tone of a scream from the GNOG logo indicating your about to go on a puzzling journey. You''ll then start to unlock levels all kept in their own kits. Unlock one and you may unlock two or another level. There's 9 levels in all and each is it's own separate strange head game. You might find yourself helping out a frog, doing a strange science experiment or just trying to sell kids candy. Not in any normal way. You do this all by figuring out the puzzles that make strange sounds and beats. So, how pray tell do you solve the puzzles. By switching around stuff in the heads, pressing buttons figuring out patterns, it's all clever little ideas that make you think or study the heads and play with them until you can get that sweet, sweet musical yell ending for each head. It's not all simple movements, you're going to have to use your noggin to figure out each. So it may start out easy and then the challenge goes up. The fun of figuring out how exactly do you progress in sub under water or to just how to throw down some beats in a boom box will make you feel like the pleasure centers of your brain are being lovingly kissed by angels. All in a gorgeous brightly colored style. I mean the game is something to look at. A friend could start watching you and say, "Hey, let me try." You're not going to want to give it to them, they're your puzzles to unlock. I can say it's a great game, but that's because I've already played it before it officially came out. So I'm at the disadvantage of knowing how some levels might work or what to do. So, let's hope for new content and more heads. 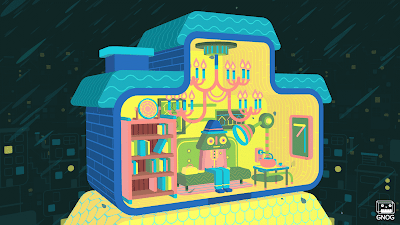 Because I want more GNOG in my life and you should get some now.